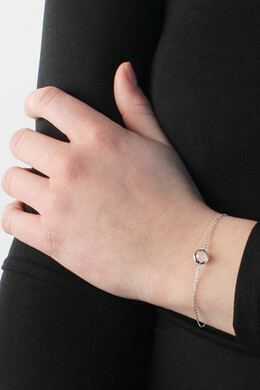 Our exclusive Sterling Silver Collection: Delicate chain bracelet in polished Sterling silver. 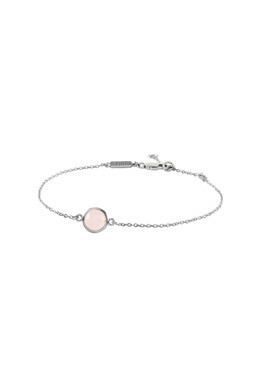 The bracelet has a small circular setting, which holds a round rose quartz stone. The open setting makes the natural gemstone visible from both sides. Wear the bracelet alone or combine it with more bracelets for a casual look. With extension + lobster closure.